It is said that when you write a commentary or column, you should write in such a manner that ALL can understand the point(s) you are endeavoring to make. Well…I am not a journalist, nor have I slept at a Holiday Inn recently so as to play one. I am certain that what follows will not be understood by any reader under the age of 58. For readers from 60 years and above, not only will you immediately grasp the following language, but you will also have come flooding back to memories the place and situation most likely you heard the following prose. Smiles will ensue, maybe some tears of sweet memory, maybe even some contemplation after all these years when such profound statements of life were first uttered, and probably not in a moment of intellectual insight, but rather a moment of life as you knew it at that moment being at a crossroads! 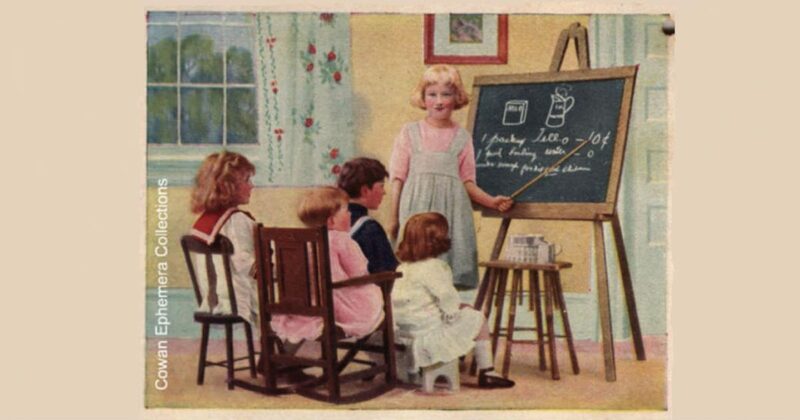 HOME SCHOOLING “back in the day” was far more than merely “readin, riting, and rithmatic.” Home schooling as I grew up and remember was about “life lessons” and “character development.” And we, as a nation, have truly lost these vital lessons. I might add you learned some of these same qualities in school where teachers, and definitely principals, did not concern themselves with political correctness or coddling little buttercups as we now have to contend with, even at university levels. But I digress. Home schooling was a regular class that carried forward until such time as you “graduated” which meant at 21 years old when society deemed you should have learned by then, and now you are ready to assume some role as a productive member. All those years of home schooling would then begin to make perfect sense. Too bad we don’t have such advance education today as we did yesteryear. So…for those of you old enough to understand and appreciate, enjoy the following “life lessons” and sayings from two teachers who knew you inside and out, you Mom and Dad. I think you will agree that the following pronouncements truly represent a form of Home Schooling terribly missing today. These are exact words and lessons from two really profound teachers, who, I will admit, at the time, I really thought were not as gorgeous as my fourth grade teacher Miss Sullivan, or as really cool as my sixth grade teacher Mrs. Hazelton, or as funny as my eighth grade teacher Mr. Sachs. But somehow, someway, not only did I survive Home School, I actually learned a great deal more than I think my home school teachers realized or prayed for. For those who went through the truly amazing years of the 1950s and very early 1960s, I think we were given gifts of learning that have served us, and those we touched along the way, quite well. It is sad to not see, or at least very often, other students blessed to be “Home Schooled” in a manner and fashion that far exceeds “readin, riting, rithmatic” (if your younger than 58, I know you were not taught the “Three Rs”). When I attended Northern Arizona University, a motto was: “To be educated is to be more human.” Might seem corny, but my becoming educated and developed to become more human, more caring and considerate of others, began long prior to my acceptance at the university.